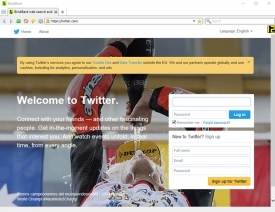 "A program for windows that puts all your apps, emails and news in one place." BriskBard is a new all in one program for Windows that simplifies everything by having an email client, a file transfer client, newsgroup readers, a contact manager, instant messaging service and many web developer tools all in one place. The three main aims of BriskBard are open standards, safety and privacy with a focus on ease of use and speed. 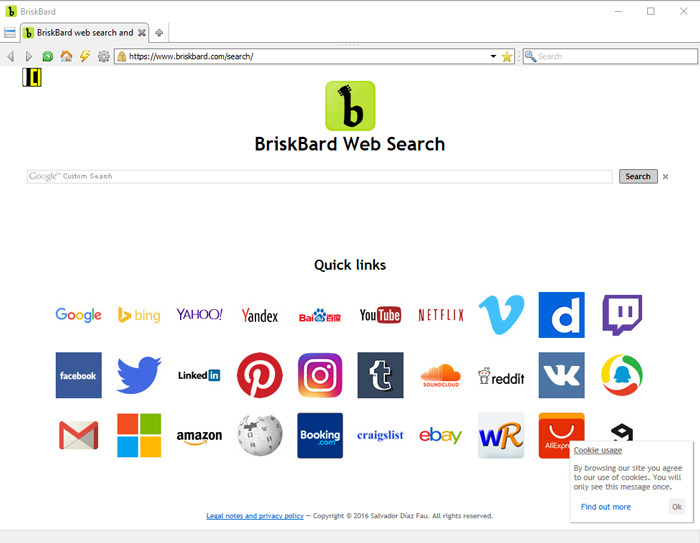 BriskBard has a really simple and easy to use system for bookmarking all your favorite sites, you can add an unlimited amount of email accounts, the messaging system can run an automatic spell check and automatically add a signature to your emails. On screen notifications can be added to alert you to when new emails, news groups and news articles of interest have been received. It also features a language manager to translate chunks of text in to any other language. The interface is clean and well thought out making it very easy to use, with a group of popular and most sites at the bottom of the homepage making it easy to go straight to your FaceBook, email or Netflix account to name just a few very easily and quickly. Trying out the speed of the program it seemed decent perhaps not as fast as chrome or opera but not slower that there is a noticeable difference. A feature laden web browser that should only serve to make life easier by having all your favorite apps, programs and access to any and all of your email accounts in one place. You can download BriskBard for free here.